finally... 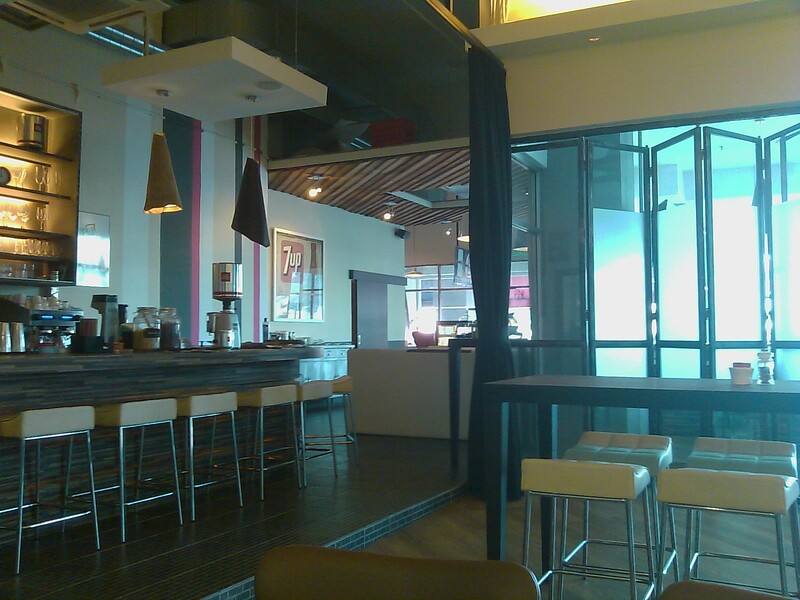 The Pink Sage Diner came to me instead of me going to them! 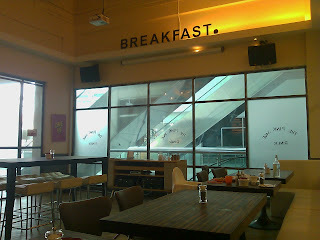 Ages ago when I was craving for good pancakes in KL, I surfed the blogs and found write up's on this place. Unfortunately the one attempt we had one earely morning ended up in dispair because it was so difficult to locae Dang Wangi KL even though we had a gps! 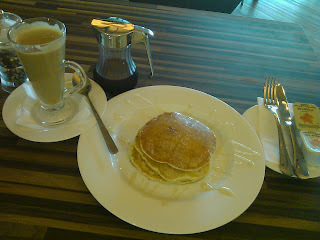 Our circling around KL that time ended up in Delicious Dua for breakfast instead becof my frustration. well... Now things have changed. 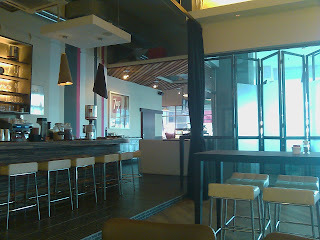 I was pleasantly surprised to see The Pink Sage Diner at Solaris Dutamas, which is nearby Mont Kiara. 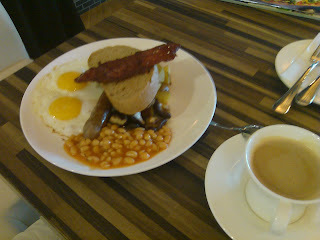 On Sunday breakfast we gave it a try and was not disappointed. I had the banana pancakes and hazelnut coffee. Hubby had the Stack breakfast with flat white coffee. Plus an additional apple juice (because they ran out of orange juice... Hmm needs improvement there). Food quality was good. I found it personally better than our pricey La Bodega breakfasts. It is yet still to be filled up by customers maybe because simply they don't know they are open at 8am. The staff and waiters need some improvement though... The cleaner was mopping the floor even though she saw that we were sitting waiting for our breakfast and we could smell the chemical or whatever they put into that bucket of water to wipe the floor. The waiters could cheer up a little as they look bored and neutral... I guess for a diner ambience I was looking for the usual cheerful staff that comes with it. I'm Janelle from The KaBlogs Journal (http://thekablogsjournal.blogspot.com), the online journal of the KABLOGS community (http://www.ofwkablogs.com). You have such an interesting blog here. I am inviting you to be a member of the Kablogs. 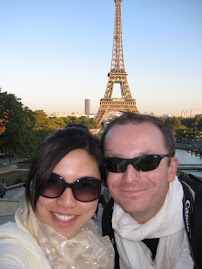 What we're trying to do in the kablogs site is to round up all the OFW and expats blogs all over the world. Can you please be a part of our site? We'll just put your URL in the Kablogs website and every time you add a new entry to your blog, your link will be updated in our site. Let me know if you want to be added. Also, The Kablogs Journal is looking for article and photo contributions from bloggers. Kindly email me at jaja.vales@gmail.com if you're interested to write an article for us.